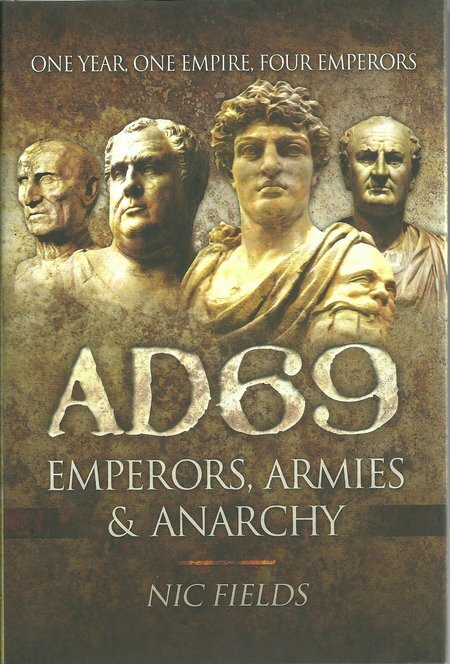 DESCRIPTION: The author has a very readable style and he has chosen a period in Roman history that provides many twists and turns as Rome emerged from the period of rule by Nero. The result is a fascinating account of a fascinating slice of Roman history. The nature of the upper layer of Roman society meant that an emperor would normally be replaced by someone related to him, if, on occasion, remotely. The Legions had the ability to strongly influence a succession and many a general was selected by the soldiers, and some generals tried very hard not to become emperor. A successful history as a commander could be followed by a short period as Emperor, only to be purged. Roman politics could be labyrinthine and viscous. Any leader in ancient history was likely to eliminate competitors and plotters who were frequently closely related. That was almost a given. Some leaders became notorious for their enthusiastic elimination of competition. Nero was however in a league of his own and during his blood-soaked reign, he managed to remove all those relatives that might wish to replace him or become the focus of other plotters. When he eventually died, this produced a considerable problem for Rome. The normal route to a succession was denied. In the conspiracies and power struggles, there would be four emperors in only twelve months. The struggle worked down through Roman society and the period of uncertainty sent out ripples that affected most Romans and their neighbours.